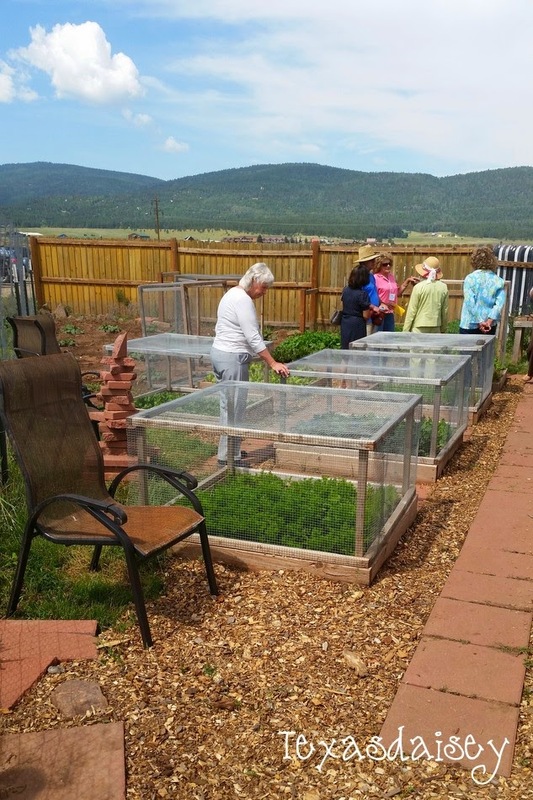 One of the stops on the Angel Fire Garden Tour this year was at the Moreno Valley High School in Angel Fire New Mexico. We were surprised to find a really beautiful deer proof vegetable garden along with a very unique greenhouse. 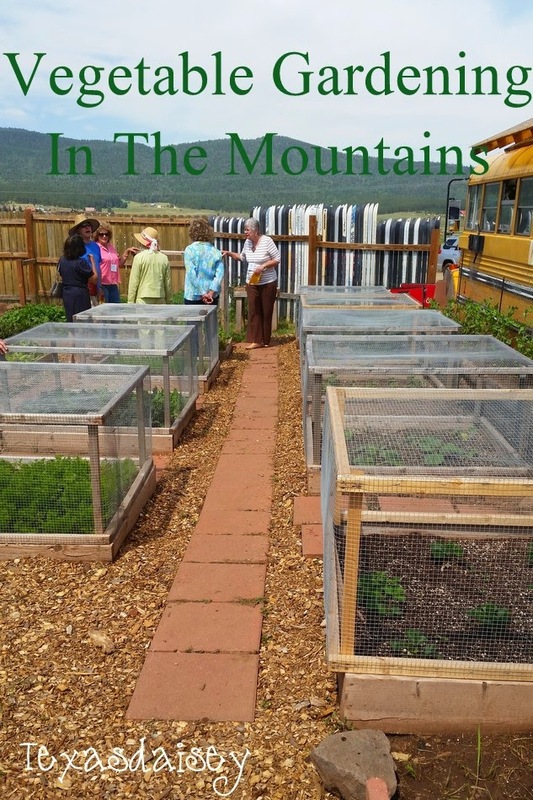 The outside vegetable beds were raised beds that were covered with wire fence covers to keep out the deer and other munching critters. 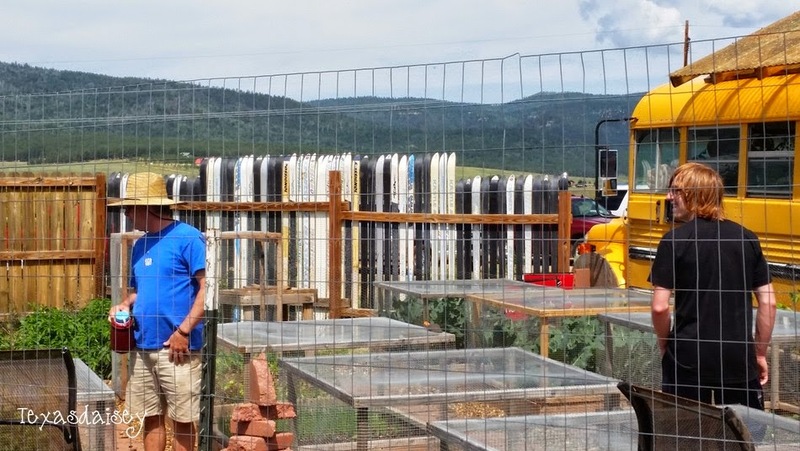 Raised beds are a great way to handle this problem because you can install fencing underneath the raised bed to keep out burrowing animals that might like to munch on the roots and the covers keep the animals out from the topside. 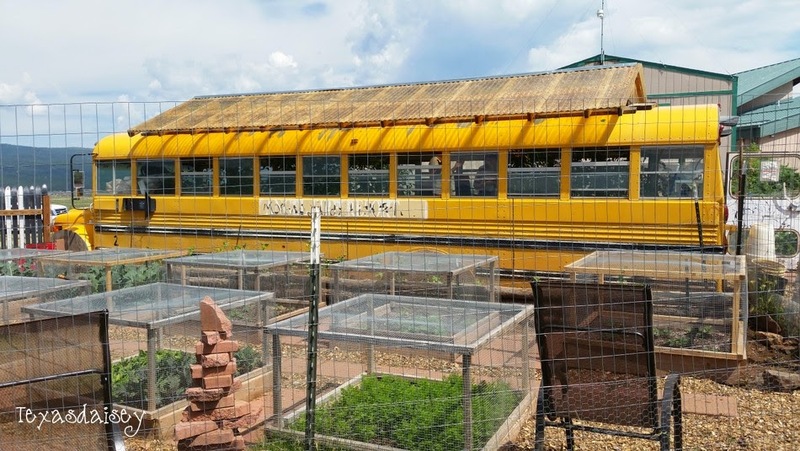 An old Angel Fire school bus was upcycled into a greenhouse. I thought this was a great use for an old bus that is out of commission. For my own garden I might have painted the bus with bright colored florals but I think leaving it as a school bus is normally painted for the High School is perfect. 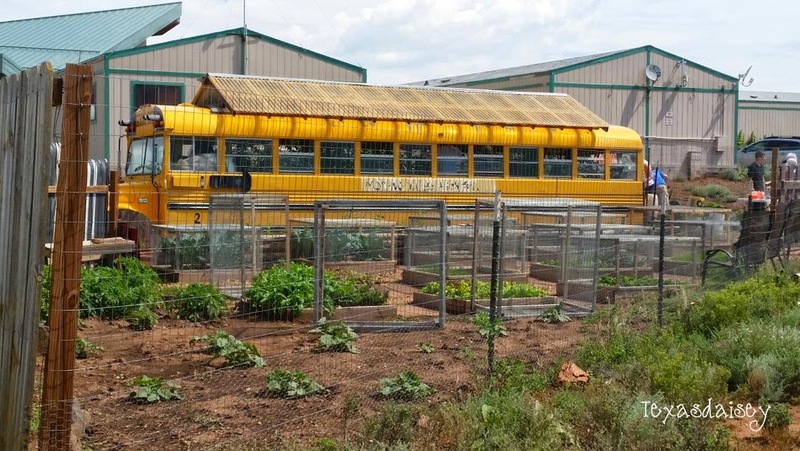 They placed the bus next to the vegetable garden with an earthen loading dock right up to the back of the bus. 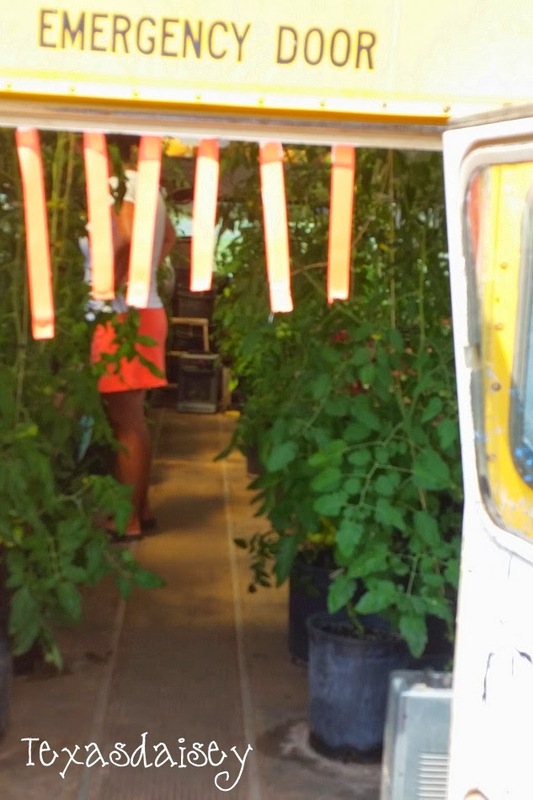 A peek inside the bus reveals that the seats have been removed and in their place are potted plants along with heaters and fans to help regulate the temperatures. A large oval section was removed from the roof of the bus and then an A frame roof built right over the top with plastic green house roofing to allow light into the bus. I have to say that this was unexpected but quite delightful and something I never would have thought of. The High School also made use of available old skis as pickets on part of their fence...another unexpected use. The vegetable gardening included most of the usual veggies such as squash but I was surprised to hear that melons were not something that could be grown in this part of the country (at least presently). It makes me wonder what someone will come up with so they can grow some summertime watermelon. If there is a way, I bet this school will figure it out. Wow, talk about innovative! What a great way to revitalize items. Love the garden ideas on how to grow without losing your hard work to the critters, too. Fantastic idea. What an amazing way to up cycle. You must keep us updated on how this project progresses. I loved this blog post and the pictures, made me feel like I was right there involved in this project. Keep us posted on this; it's an amazing idea! Such creative ideas- I know how damaging the deer can be, this seems like a great solution. Beautiful photos! 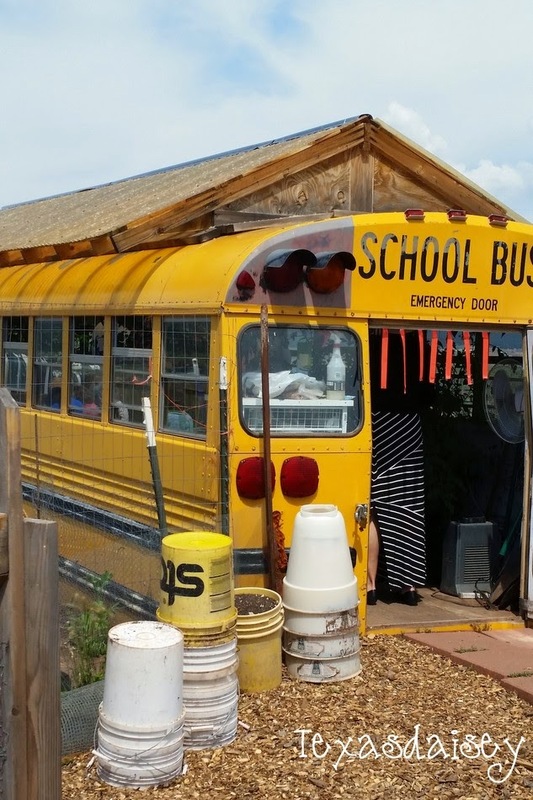 I love the idea of repurposing the school bus - very innovative!! What a great garden and greenhouse!